Situated in a really desirable residential area in central Dartmouth this beautifully presented apartment at 8 Above Town could make your perfect lock up and leave property. 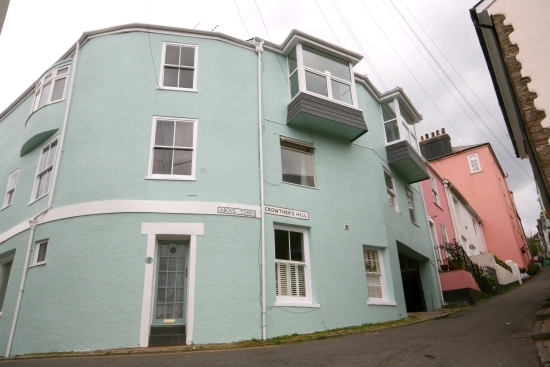 8 Above Town is a superb top floor apartment with a private entrance, having a spacious living/dining room, with lovely views down towards the River Dart. The kitchen has been recently refitted and has fully integrated appliances. There are two stylishly decorated bedrooms, one with an en-suite shower room and the other having a large built-in wardrobe. A family bathroom compliments the accommodation. 8 Above Town is offered for sale at £275,000. For further information please contact Marchand Petit’s Dartmouth office on 01803 839190, email dartmouth@marchandpetit.co.uk.